It's time for you to swoop in and save the day! You do know what we're talking about, right? That big ol' burg, Metropolis city? There's been just a little bit of a brouhaha, and the citizens are clamoring for a hero to swoop in. 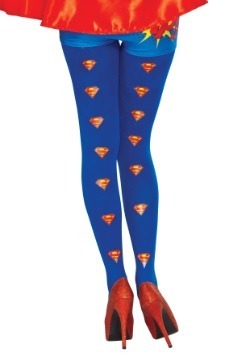 And if she happens to be from the planet Kyrpton? Well, all the better! 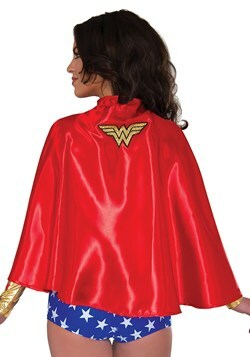 This Women's DC Supergirl Cape Dress will have you ready to step in and save the day as Supergirl! Think you're up for it? We don't have any doubts that you are! 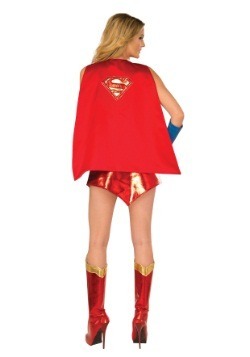 Even if you don't quite have super strength and the ability to fly, you can still look the part with this costume dress. And you're going to be quite stylish, too, while you're swooping in! This dress is officially licensed from Rubies Costume Company. 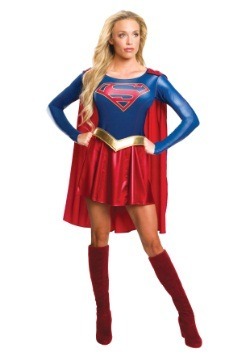 The dress is 95 percent cotton and 5 percent spandex for a bit of stretch, and with it's long sleeves and scoop neck it will have you being one fashionable Kryptonian. And that's not even counting the cape! 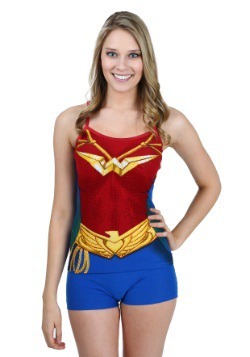 It comes attached, and along with S Emblem printed on the chest, you'll have no trouble saving the day. 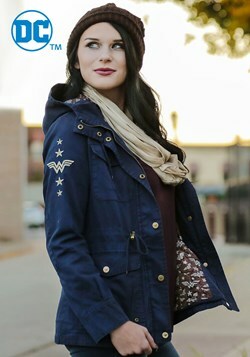 Small/Medium - $29.99 Only 5 left! Medium/Large - $29.99 Only 8 left!